After the media gaffe that disgraced LA Clippers owner, Donald Sterling, the mogul was fined $2.5 million by the NBA. There’s a misconception that he’s being required to sell the team as part of his lifetime ban from the sport, but that’s not actually true. NBA commissioner, Adam Silver, is asking the NBA Board of Governors to force Sterling to sell, which requires three quarters of the league’s owners to sign on. Common sense would ask that if Sterling has been banned from the league for life, how is it possible to own and operate a team within it? Wouldn’t a sale be a foregone conclusion as part of the overall reprimand? While Sterling weighs his legal options, former Citicorp chairman Richard Parsons has been named interim CEO of the Clippers. In the meantime, high profile names from the worlds of business, entertainment and sports, who have made bids for the LA Clippers or other teams in the past, are beginning to come forward expressing new interest in ownership. Just a few of these include former LA Laker, Magic Johnson, boxing champ, Oscar de La Hoya, Oracle’s Larry Ellison and media mogul, David Geffen. 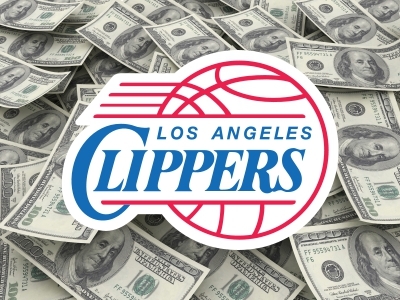 Currently, Forbes lists the value of the LA Clippers at $575 million. That’s not bad, considering Sterling paid $12 million in 1981. Even if he is forced to sell, Sterling may end up with not much of a punishment at all, especially if the sale sets off an expected bidding war that some experts are saying could reach $1 billion. Visit CNNMoney for the full story.